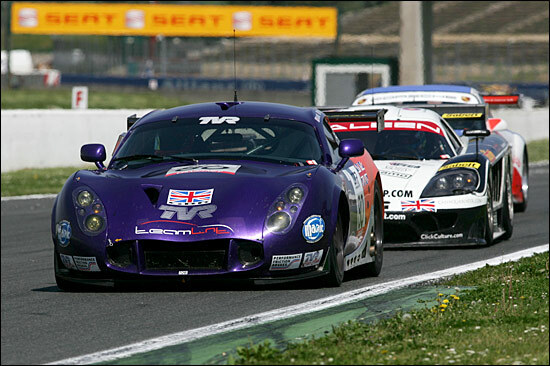 The joint FIA GT / British GT race at the home of the French F1 Grand Prix, Magny-Cours was the scene for what, incredibly, would be Team LNT’s fifth race of the 2005 season so far, and it would be a historic first ever entry into the FIA GT2 class for the TVR T400R. 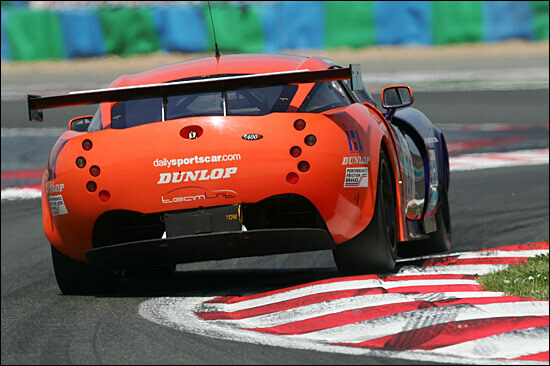 As British GT season entrants, Team LNT’s cars, together with those of the other regular UK entrants, would be equipped with the Dunlop control rubber, British GT silencers and the success ballast accrued from the opening rounds at Donington Park. 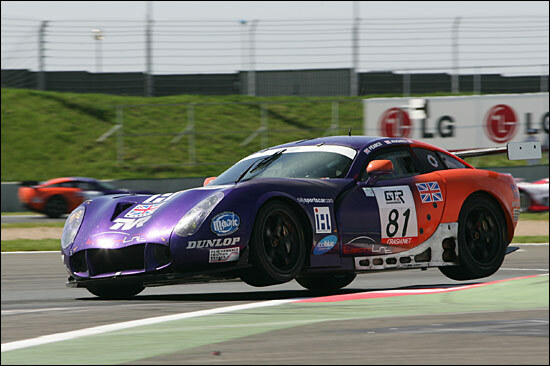 The combination would put the Brit-pack at a distinct disadvantage against the FIA GT championship front running pair of GruppeM Porsches, particularly as the FIA rules prevent the TVRs from sporting their highly effective rear diffusers. 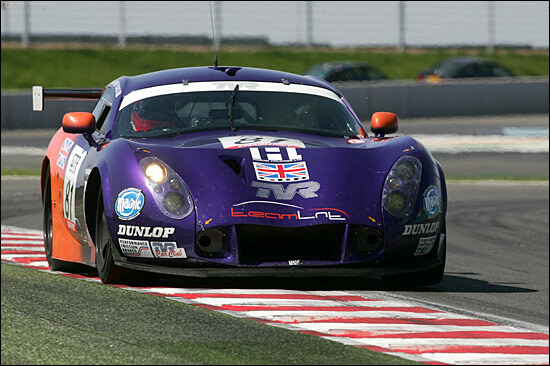 It was time then to find out the capabilities of the purple and orange cars around the Magny-Cours circuit, Jonny Kane taking the #80 car to the limits of its handling capabilities (and beyond!) 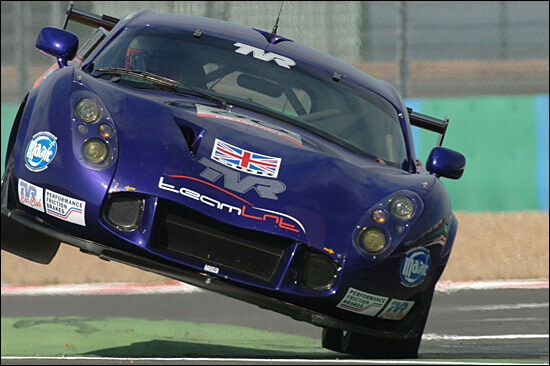 over the unforgiving kerbs on Friday. Warren Hughes in the #81 LNT TVR made the early pace in the morning session, with the British GT regulars all quicker off the mark than the FIA championship campaigners - and with seat belt problems keeping the British GT championship leading Scuderia Ecosse initially struggling. 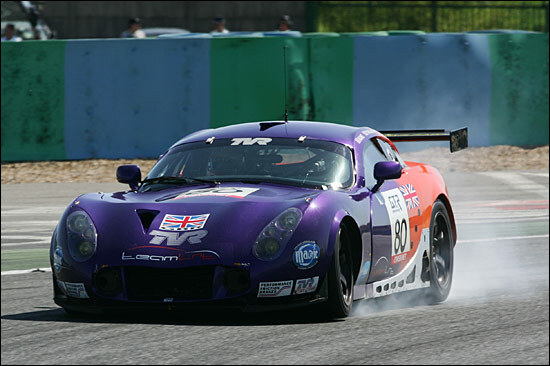 Despite a temporary repair to the splitter, and some fluid from an expiring Porsche on the circuit, Jonny Kane managed a big improvement in the #80 TVR, demoting the lead Eurotech car a place in the dying minutes. The chicane before the start / finish straight meant that with a rolling start the cars were all strung out in a line in starting order, providing no early drama. 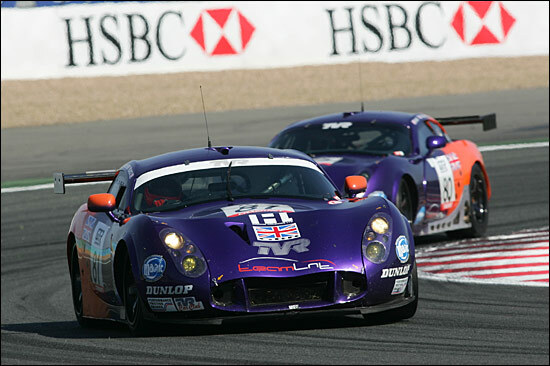 The GruppeM pair led the way with Shaun Balfe’s Mosler providing a break in a team pattern, followed by the two Scuderia Ecosse Ferraris (Mullen briefly taking over the team-lead from Kirkaldy) and the two TVRs (Hughes leading Kane), ahead of a quartet of squabbling 911s from which the Eurotech pair would emerge as the leading pair. 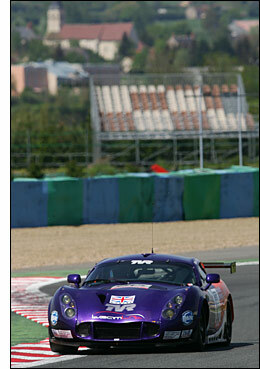 What followed was a remarkably static order for a three hour race, with just the retirement of the Mosler, a safety car for the recovery of some debris from the Vauxhall Monaro, and a reshuffling of the GruppeM Porsches, to interrupt the flow in the first couple of hours. 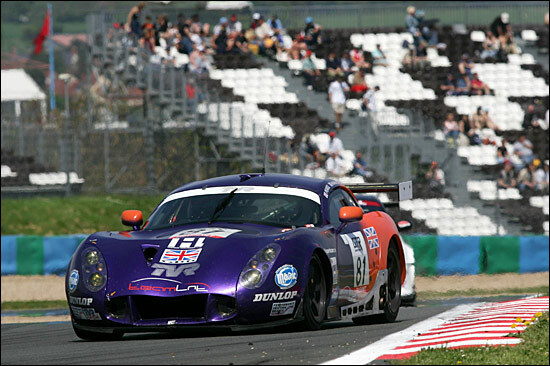 The Porsche of Mike Jordan and Michael Caine moved up to third place after the final pit stop sequence, Warren Hughes having slid wide in the #81 TVR T400R, the Hughes and Pearce car eventually finishing fifth after Warren suffered a right rear puncture, the car pulling off at the Adelaide Hairpin and struggling to restart. 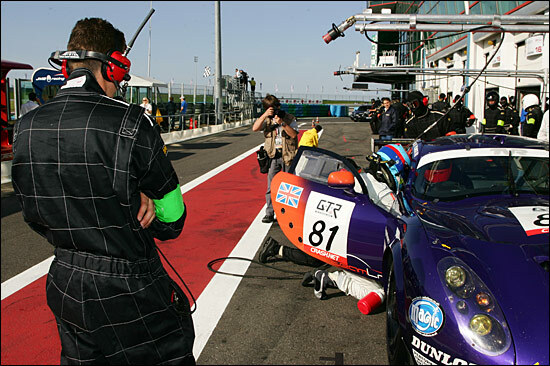 The car lost a place to the Jones’ Porsche as a result, but Pat Pearce was able to resume and re-take fifth in British GT, the Jones’ car dropping away into sixth. 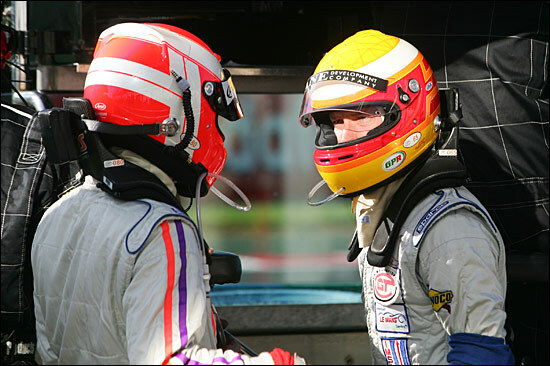 There were (relatively) long faces all round afterwards, from a team which had earned a major whiff of success at Spa - and had liked it. 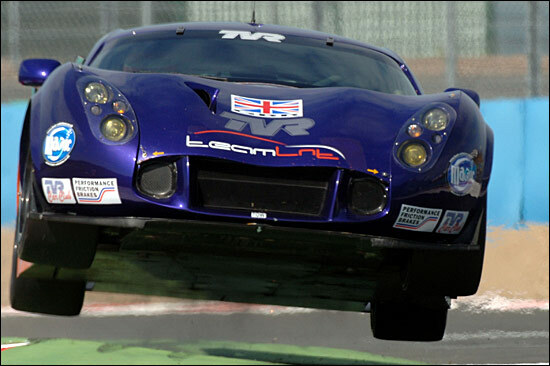 They’ll be working hard to be back on the podium next time out at Knockhill, for a double header in three weeks’ time.